Ben is the Founder/CEO of Frame and is an all around game maker. He designs, programs, builds art, creates audio, pitches deals, and loves making satisfying interactions with computers. After 15 years in the AAA game space working for Sony and then Activision as a Game Director, Ben left to found Frame in 2014. Duncan holds a degree from Champlain College in Game Programming. He is known for his problem solving, graphics coding, Tekken 7 fighting skills, and his collection of esoteric sweatshirts. 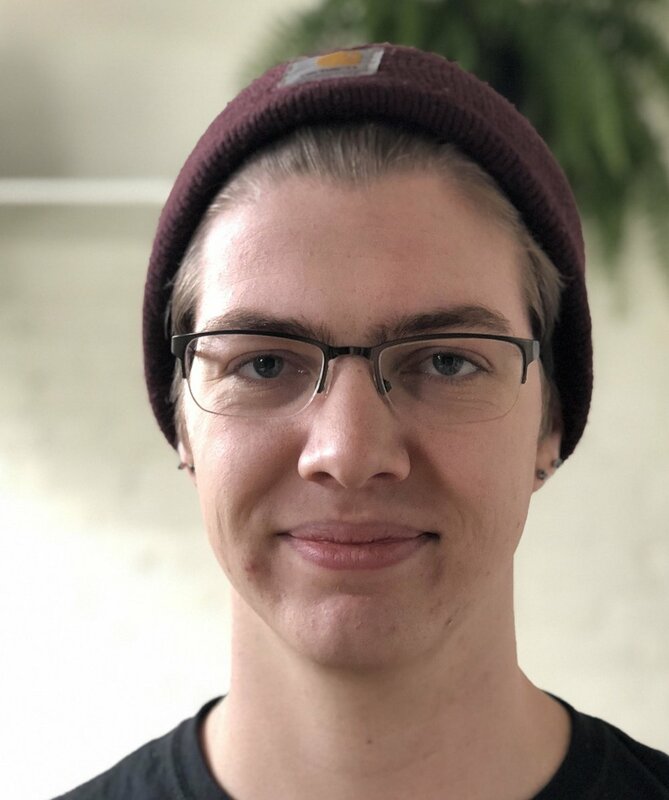 Sean is a passionate game design graduate from Champlain College, Sean specializes in systems, virtual reality, and technical design. While in school he was the lead designer on the acclaimed “Pet Rock : Weapons of Mass Destruction” which won the Grand Prize at RPI’s Gamefest in 2017.